There's a lot of junk apps out there that are designed to do nothing more than spend your money. This isn't one of those apps. iNaturalist is not only a fantastic app for the outdoor enthusiast, but it's also free, and part of a huge growing community of citizen scientists. 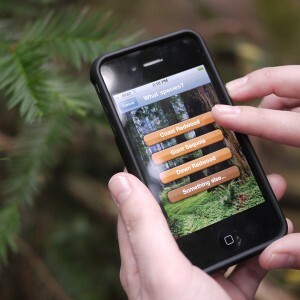 Not only is this an app, but there's an entire community of resources available online at inaturalist.org. Check out what the LA Times has to say about this amazing app. If you see a creature in the wild but you're unsure of its identity, you can take a picture of it through the iNaturalist app, click on the "Need help identifying" tab and upload it to the site. You'll get responses from experts around the world — and you'll be able to add it to your list of natural history observations. You can use iNaturalist as a personal field journal or a place to learn which plant, animal and fungus species other people have found in a particular region. You can also participate in various citizen science projects ranging from roadkill observations to butterfly encounters. All your entries will go into a California Academy of Sciences database that creates a living record of life on Earth.